The Egyptian Exchange’s (EGX) benchmark EGX30 is expected to hit 17,900 points by the end of 2018, Capital Economics said in a recent report. 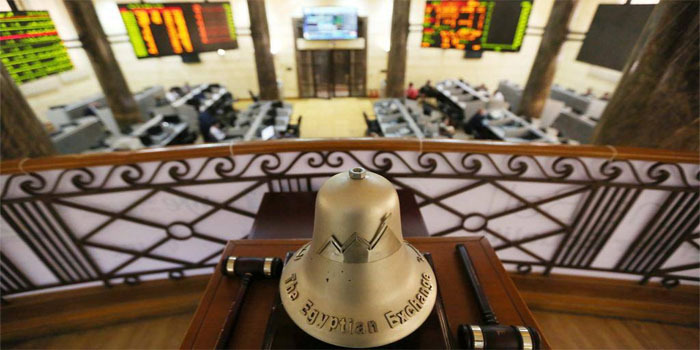 The benchmark of the Egyptian bourse is also expected to fall to 14,900 points in 2019, and it will turn to gains by the end of 2020, recording 16,000 points, The leading independent research firm added. By 01:13 pm Egypt time, the EGX30 went down 55.94 points, or 0.37%, to 15,240 points. In a related note, the EGX would list between 4 and 5 private companies within the coming eight months with a total value ranging between EGP 6 billion and EGP 7 billion, the bourse’s chairman Mohamed Farid forecast. It is worth noting that the EGX’s benchmark jumped 21.66% to 15,019 points in 2017, hitting the highest level, adding 2,674.25 points.